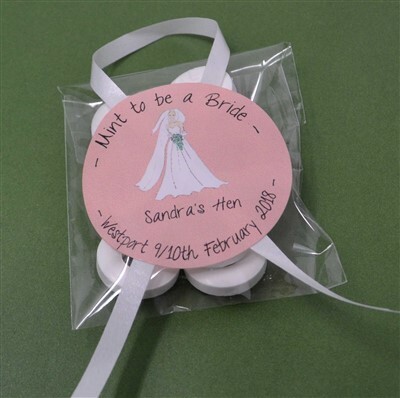 A perfect party favour or gift for the Bride To Be. Personalised cello bag contains 10 polo mints. Mint to be a Bride is printed as standard.